Before reading and to put my position in some context I must make it clear I am a supporter of the 2 state solution in Israel and Palestine. I write this as I am neither anti-Jewish pro Muslim or anti-American but I hope objective in my outlook. As I declared at the outset of this blog which is just 14 days old my intention in respect of political writing or social commentary is to provoke thought. However I do not do this in the way a Miranda Divine might do to provoke just for the sake of doing so but from a genuine wish to open minds for the consideration of another view of the truth in the cloud. I would also like to tell you and I encourage you when next in Sydney to visit the Holocaust Museum If you do you will probably be able to see the original copy of a United Nations report from 1946 on German War Crimes in Poland I presented in June 1995. The report which was falling apart and which I had from a discovery in 1967 was restored by the museum. As I wrote in “about me” I am no academic in reality leaving school at 13 in the UK. My writing may be clumsy but my experience does include countering the menace of the National Front in 1977 and as security with the Anti Nazi League. I take the exception to Glen Beck who states that the Egyptian resistance is “led by communists socialists Muslim extremists and all those who hate Israel and The Jew” This is nonsense but dangerous nonsense. So to body of this post: I got hooked up in a discussion the other day after posting a response to a friend’s posting on Facebook about Egypt. In my response to that posting, I wrote a comment reminding whoever might be interested to know of some examples of where popular action has either overthrown or is likely to overthrow a despotic regime has been hijacked and/or defeated. There has always been a reaction from POWERFUL states in whose interest such a “DEMOCRATIC” change is of not desired or is a change that runs counter to the interests of such a power. In other words such a “regime change” led by a popular front of ordinary people might in fact be against the on looking [imperialist] power(s) interests. 4) directly intervene with a military response to seize power and install a friendly Government. 2) The supplying arms to Egypt for security of the Suez Canal and in exchange for facilities for the questioning and rendition of not only Jihadists but progressive innocents seeking to democratise Egypt . 3) The hijacking of the overthrow of the Shah of Iran twice. The first in engineering of a coup against Mosaddeq in Iran 1953 and by allowing the return of Ayatollah Khomeini to counter the threat of the Iranian intelligentsia, students, the Tudeh Party and the suppression of the Mujahidin Khalq and the PPK to the north in Kurdistan. 4) US invasion in Lebanon in 1958 to overthrow a popular and elected Government. In my response to the post in question I also made reference to the US engineered coups in South and Central America since the 60s in British Guyana, Chile, Nicaragua, Venezuela, Bolivia, Peru, Grenada, Cuba and so on. I also included Spain – not in the context of direct US or British or French intervention but from the standpoint of a Popular Government being overthrown first by a failed military coup (encouraged by the British) which then led to a protracted and bitter Civil War. A response to what I had posted was “had the Republicans spent less time shooting the clergy they might have won”. I took an exception to this from a number of standpoints. The first, by proxy I had family (my brother’s father) that fought on the side of the young republic in the war: Stanislas Rayner who fought with the Canadians in the Mackenzie–Papineau Battalion of the International Brigade. You can find his name on the roll of honour on the previous link. 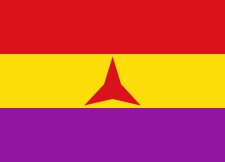 Below is the flag of the International Brigade. 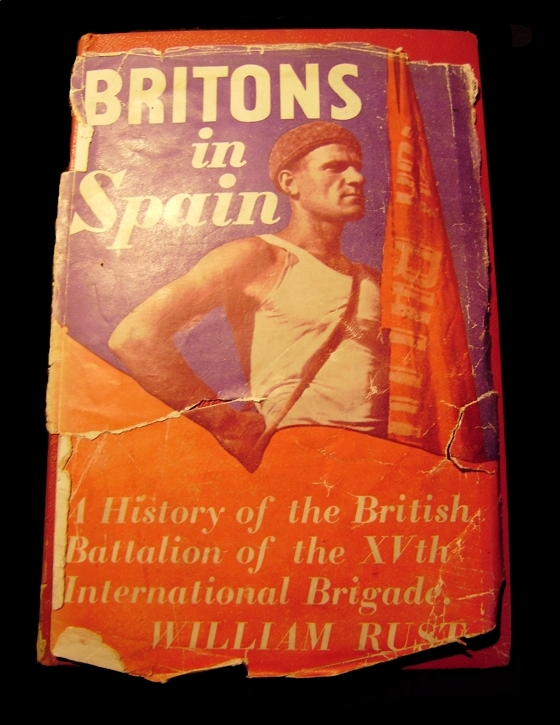 I had friends as a boy of others: Bill Alexander a commander of a machine gun company; and once met William Rust who was the overall CO of the International Brigade. These men were no murderers but young men drawn from across the world responding to the call for volunteers to fight for the new republic against Franco and the intervention from Nazi Germany and Italy. The Primate of Spain, Cardinal Enrique Deniel, supported the rising against the elected Republican Government. During the war Franco murdered over 200,000 republican civilian sympathisers. The Protestant churches were attacked by the Nationalists and in Bilbao, hundreds of people, including 16 Catholic priests who had served as chaplains for the Republican forces were murdered by Franco’s troops. You will all know of the bombing of Guernica a little town by the Luftwaffe. . The republic had virtually no anti-aircraft guns (remember this had been initially a failed military coup) so relied upon groups of militia troops with rifles to try to shoot the German and Italian Bombers down. The republic bombed nobody as all they had were a few open cockpit fighters supplied They also lacked armored vehicles and the workers at the Rio Tinto factory fashioned armored cars. The republicans were virtually unarmed and inexperienced unlike the Nationalists who were supported by the Germans and Italians who were experienced from the 14-18 war. 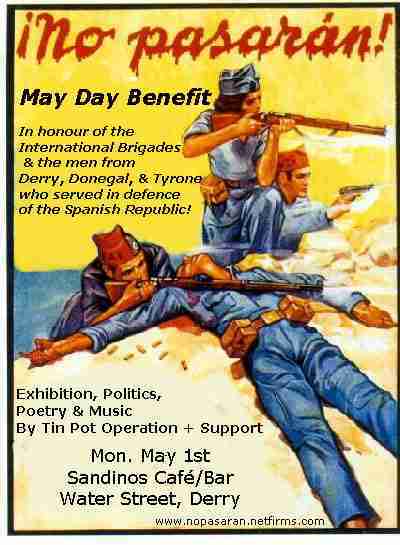 A point of interest [to me] is that over 500 Scots fought for the Republic as did many Irish volunteers predominately catholic working class. The Scots, proportionately to the size of their population, provided the largest contingent of men; as did the Scots Canadians to be found in either the America Abraham Lincoln Brigade or the Mackenzie–Papineau Battalion. Spain was a case of supposed non-intervention by the Western Powers, which by their inaction encouraged the revolt in Spain by refusing arms medical supplies to the elected regime. It was a military coup supported by active involvement of German and Italian military divisions. It was where the Germans were able to perfect the Blitzkrieg while the US, Britain and France stood idly by. 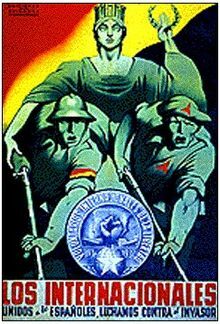 However this isn’t strictly true as the boys attempting to join the International Brigades were often arrested and stopped from getting to Spain. Yes, it is why I included it in the list because by default the US, France and Britain by their non-support for the people and their anti “Red” stance helped topple a democratically elected Government that had followed on from the overthrow of the Monarchy. So today we see popular uprisings of people in Tunisia and Egypt. Where is the parallel with Spain? First, what we see are popular uprisings or democratically elected Governments. Second, history teaches a lesson that if a popular movement is not in the interests of the US or their allies that movement coming to power is likely to be overthrown or even before that have a leadership imposed upon it more sympathetic to the industrial needs of the US. Spain was an international struggle and so is Egypt. Why the similarities? Britain was implicated in the beginning of the Spanish rebellion. She felt her hold on Gibraltar was under threat and therefore her controlled access to the Mediterranean could be restricted. The Republicans had made noise about the ownership of Gibraltar. Britain needed Gibraltar as a refuelling stop and base to support her interests to maintain easy passage to Palestine, Egypt and the Suez Canal – crucial to you guessed it the passage of oil from the Gulf. Britain also had other interests in the Mediterranean: Crete and Malta crucial to maintain contact with Turkey who had indicated she would come into an alliance with Britain and France in the event of war with Germany. It also still kept open a route should ever the need be for another “allied” invasion of the Soviet Union like that of 1919-1923 just 13 years before. It turned out that the US, Britain and France had a greater fear of a Soviet satellite in Spain than they did of Germany. Hitler had made clear his aim, set out in Mein Kampf, of Lebensraum (seeking eastern expansion for German population growth) was one where he always going to attack the Soviet Union. After Poland he unexpectedly stopped and turned west. We call this Blowback. Hitler didn’t play the game. The League of Nations established a blockade to stop all aid to the Republic. While Germany and Italy to were signatories to the agreement they were allowed to flout it. So Germany and Italians were able to support Franco with men and equipment. France closed its border with Spain stopping all trade so strangling a democratically elected Government. However I believe if the current movement for change in Egypt or likely government to emerge does not suit the US or Israel there will be the imposition of someone who does. At this time the runners are the new vice president Omar Suleiman (apparently comes with his own set of jump leads) and Mohamed ElBaradei (who comes with virtually no popular support). The principal interest is security of access to the Canal and the free flow of oil and maintaining control of the situation on the West Bank and Gaza. I should add finally that I am a supporter of the 2 state solution for Palestine and Israel and that all I have written here is in no way intended as an attack on the American people. Writing this, I realised that the Civil War in Spain is a huge subject, and I so I will post some more on the complexities of the background and its implications today. Spain is recognised as the first war covered by extensive daily media reports. There are two areas that fascinate me perhaps due to family and other personal that I would like to post about. 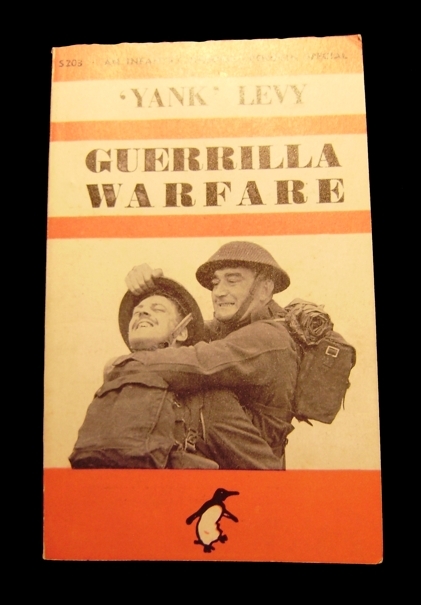 2) Something not known to many people that the Home Guard (Dads Army) in Britain was originally organised and its training program designed and led by an ex International brigadier Tom Wintringham. He was thought to be just the man for the job after learning his skill in Spain. Ooops there were soon to be red faces all round when it was discovered that he was also a member of the Communist Party. The authorities quickly had him sidelined. The threat of an armed a trained citizen home army it seems was a greater menace to Britain than the threat of a Nazi invasion. You are responsible for you own actions on this one. So next time: I still have to post my review of the Jonny Lang CD “Long time coming” The Afro Beat Revolution CD. Something about the music of the Resistance. Those of you who read my post “Queen Mary meets the Foreign Legion” on how to make a cuppa tea will know what I mean. I am still to share some poetry from Pablo Naruda but need to write something to put it into context. I have to complete my article on my experiences of the law of property in a defacto relationship. Now where are the amphetamines?